Savage provides keynotes, workshops, and circles on the Enneagram and 9 Domains for organizations, teams, and individuals that provide insight as to how we may understand, connect, learn and succeed far more profoundly together. A “must” for leaders and negotiators. 9 Domains is an assessment, interventions, and development to bring teams and organizations to higher performance. The focus in 9 Domains is on the functioning and characteristics of the team/ organization, not on the individual. 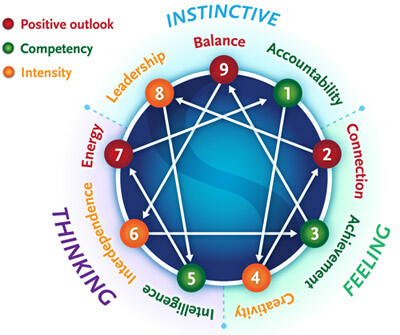 The focus in the Enneagram is on the functioning and characteristics of the individual (not the team/ organization). Through insights into my tendencies and those of the key people in my personal and professional life, I can create far greater relationships and outcomes. Experience the insights of the Enneagram and 9 Domains: contact us via email to find out about events near you and coaching for change.